When it comes to favorite restaurants, well, Datz Deli is one of mine. I first tried Datz a long time back when they hosted a Sam Adams event. Since then, I've visited and tried so many items on the menu. I've been there for an early breakfast get together with my friend Tracy. I've been for happy hours and dinners. I've stopped by for a nice lunch before catching an early movie. One thing about Datz is they are always ready and willing to host events with other companies and, even better, they host tons of their own events, open to the public. The other night, I had the opportunity to attend a Dine Tampa Bay and Foodspotting event at Datz. The event served to introduce the new menu at Datz, and share information about Dine Tampa Bay's Restaurant Week and the Foodspotting phone app. Restaurant Week runs from August 3-17 and will feature 121 different Tampa-area restaurants. Each participating restaurant will create a special 3-course prix fixe menu. Depending on the restaurant, the cost will be $25, $35, or $45. Get more information and make your reservations here. Foodspotting is an app available on Android and iPhone. The idea is that you can take a picture of the dish you ordered at a restaurant and upload the picture to share with app users, tagging the restaurant and the menu item's name. Foodspotting serves to share the dishes you can find locally and if you allow the app to use your GPS, you can find uploaded dishes at restaurants in your area. It's an awesome concept! See the video below! When we arrived for the event, there was a part of Datz set aside for attending bloggers. We were greeted by Heather from Datz (fun fact: according to her business card, she is the Director of Fun- how awesome is that?!) and she went over how the event would run and what menu items we'd be trying. Heather was also always around to answer questions about Datz. The event started off right with some Popsicle Cocktails! The first one I tried was the Blueberry Popsicle Cocktail. Next up was the Tropical Citrus Popsicle Cocktail. Made with tropical juices, including OJ, sparkling wine and cayenne pepper, this cocktail was so refreshing. The 2 cocktails have such different flavors that I recommend trying both! Once we had an opportunity to chat a little, the first menu item was given out for us to try- the Watermelon Feta Salad. This salad is made with fresh watermelon, pickled red onion, feta cheese, arugula and finished with chili-lime salt. I've been to a handful of food events since the beginning of summer, all of which feature the restaurant's seasonal watermelon dish, and this one is my favorite. I love how Datz puts its own special touch and ingredients in the salad, yet the normal, traditional watermelon flavor is still there. Too often, the natural juices of the watermelon are overpowered by seasonings, but Datz does it perfectly right. After salad, we were treated to the Poutine. The Poutine consists of crispy fries topped with a cheddar cheese curd demi-glace, topped with an egg, sunny-side up. This item was certainly interesting- something I'd never think to combine, but it works! The fries are nice and crispy, the demi-glace is tasty and reminds me of a sweet gravy. The egg was a nice bonus too. Our next dish was the Fish 'N Crisps- beer-battered Atlantic cod, fried crisp, served with housemade chips, dusted with malt vinegar powder and served with tartar sauce and fresh lemon. The cod was flaky and cooked to perfection and the malt vinegar powder kept the batter from turning soggy. Now, if you've been to Datz you'll agree with me and if you've never been to Datz you'll soon learn, that they are known for their chips! They are sweet and salty and usually drizzled with creamy blue cheese and green onions, accompanying their sandwiches on the regular menu. We were also able to try the Rillette. The Rillette is whipped mortadella mousse topped with dried cherries and toasted pistachios, served with toasted brioche garnished with fig balsamic. I loved the toppings on the mousse- I'd eat that just by itself, and the toasted points with the balsamic was great. Mortadella is an Italian pork sausage and I recommend it! Lastly, we each received a Blood Orange Gelato Push Pop. Ah, gelato! This gelato was topped with candied orange peel and it was such a perfect dessert to end the meal with! Thank you to Datz, Dine Tampa Bay and Foodspotting for the amazing event! The new Datz menu will launch this Friday so check it out! Also be sure to try out the Foodspotting app and make your reservations for Restaurant Week! Now for the real fun part! When we were enjoying our meal, I noticed the Home Brew kit that Datz sells along the wall and spoke to Heather about it. Datz has graciously donated a Home Brew Kit for me to give away, along with 2 spots for a winner and their guest to attend Datz's Homebrew Basics event! I also have 2 meal vouchers (entree and beverage included) to give away! So, there will be 3 winners! 1. 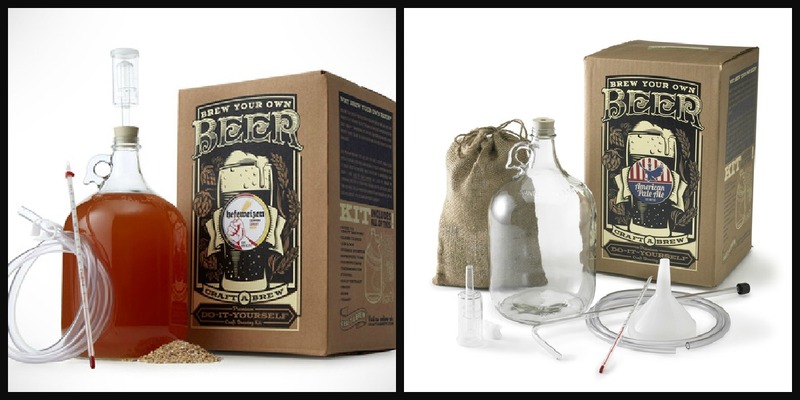 Homebrew Kit + 2 tickets for winner and a guest to be my guest to the Homebrew Basics event/class at Datz. The event is on Tuesday, July 24th at 6:30pm. The Kit and tickets to the event are a package giveaway item. Therefore, you have to be able to attend the event to win the Homebrew Kit. Upon selecting the first place winner, I will ask the winner if they will be able to attend the event. If not, I will select a new winner and the original 1st place winner will win the second prize (below) instead. We have 2 extra spots reserved so I want to make sure the winner of the kit can attend the event. :) If you know for sure that you cannot attend this event, please let me know in the comments below. 2. Meal Voucher for free entree and beverage. 3. Meal Voucher for free entree and beverage. This giveaway will start now and end Thursday, July 19th at midnight. Winners will be contacted Friday, July 20th and announced via Facebook and Twitter. Winners have 24 hours to respond to me, or to reach out and claim their prize. Use Rafflecopter below. (***IF YOU DO NOT SEE THE RAFFLECOPTER GIVEAWAY WIDGET, MAKE SURE TO CLICK "READ BELOW" UNDER MY SIGNATURE***). If you have any questions regarding the giveaway, or have any issues with entering, please email me ASAP at jensfood@yahoo.com. Good luck! Next time I go to Datz, I hope it's for brunch-- I want to order the Creamsicle Pancakes or the Oysters Pontchartrain! YUMMMMMZ. for lunch and some of those yummy looking cocktails!! And I am on their email list, and have already liked their page and the page of this blog. Great post and giveaway! Um this is amazing. I would totally try the Chicken Scallopini but would have to start with the mac n cheese bites and the pretzel bites... I could live off appetizers. It's a sickness. TOTALLY have to check this place out since we LOVE beer and B is all cheffy and into food. This place would NOT bore him! Great photos... Thanks for the giveaway. I definitely want to try that Poutine. All of their food?! LOL....Probably the truffle fries since I know love trufle oil after Cirros! I'm already a Datz Foodie! It's hard to pick just one item, but the Waffles n' Tweet sound amazing for a splurge! 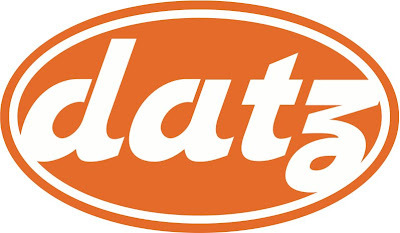 Datz is one of my favorite restaurants here in Tampa. Everything I've had there has been delicious, but I still haven't tried the Waffles & Tweet or the gelato. Those are next! I have been to Datz many times, but since I am an oyster lover, and a brunch lover, my favorite item is the eggs pontechartrain. Ever since I read about Barry C's Stuffed Meatloaf in Bay Magazine, I've wanted to try it. Think I'll order that next time! Poutine is something I would love to try.